Luscious greens and dainty things complete my element. 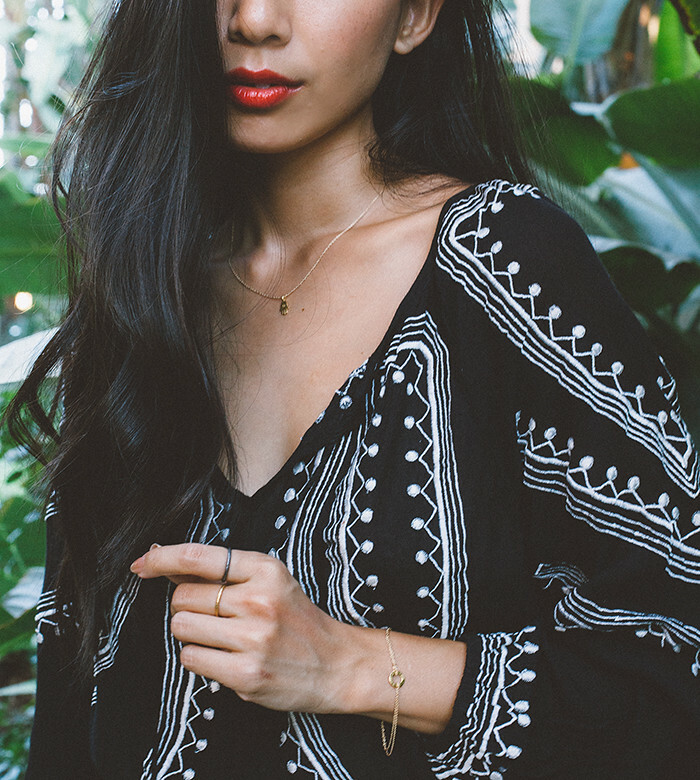 Tularosa shirt. Wildfox shorts. Dogeared bracelet. Dogeared rings. Dogeared necklace. Kelsi Dagger heels. I've fallen in love with my new discovery Dogeared jewelry because their adorable yet sleek minimalist designs go with everything I wear and every mood I feel. Their positive mantras that come written with every piece inspire me to live a feel-good day and when you're living with the best intentions, only #goodthingshappen. 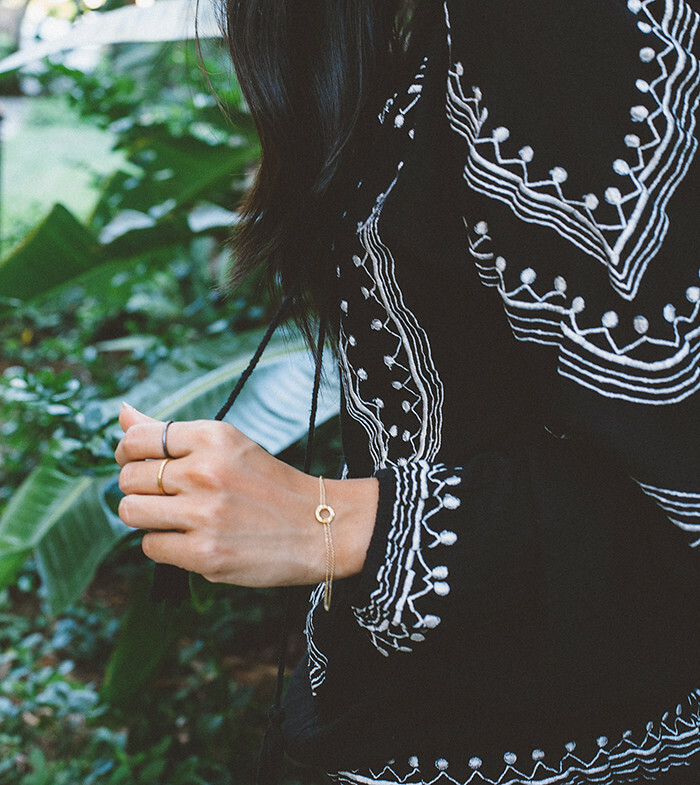 Loving your boho vibes & of course the minimalist jewellery is beautiful. I just discovered your blog and I fell completely in love. I love your relaxed style and the pictures are stunning!